The VA Southern Nevada Healthcare System and VA Reno Regional Benefits Office will co-host a VA Information Fair and quarterly Veterans town hall meeting Oct. 25. The Information Fair runs 5-7 p.m., and the Town Hall runs 6-7 p.m. The event will be at the VA Southern Nevada Healthcare System Medical Center, North Las Vegas…. 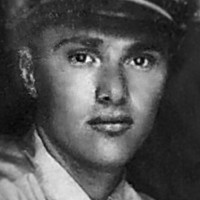 Seventy-years ago, a young man was killed in World War II just days before the surrender of Japan. Since then, he has been interred with the wrong emblem on his headstone -- that is, until recently. 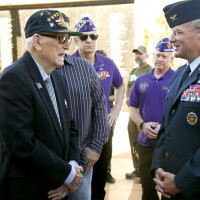 The City of Henderson, Nevada, held its annual Veterans Day ceremony at the amphitheater adjacent to the Veterans Memorial Wall at City Hall on Nov. 5. 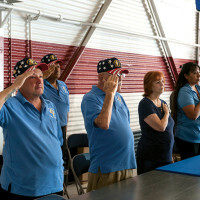 U.S. Air Force photo by Senior Airman Rachel Loftis Veterans stand and salute during the opening ceremony of Retiree Appreciation Day at Nellis Air Force Base, Nev., Sept. 19. 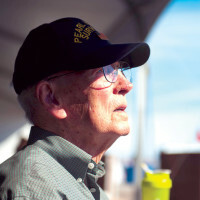 The celebration honored the men and women who retired from the U.S. military. Nellis AFB, local and national organizations had tables set up to distribute information…. 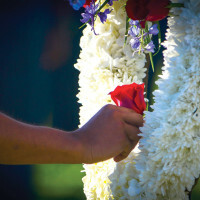 The Prisoner of War/Missing in Action ceremony was held on Sept. 16 at Freedom Park on Nellis AFB.